IRVINE, Calif.–(BUSINESS WIRE)– Allergan, Inc., (NYSE: AGN) is pleased that the U.S. Food and Drug Administration (FDA) General and Plastic Surgery Devices Panel of the Medical Devices Advisory Committee has voted unanimously that the benefits of JUVÉDERM VOLUMA™ XC, an injectable hyaluronic acid dermal filler for cheek augmentation to correct age-related volume deficit in the mid-face, outweigh the risks. 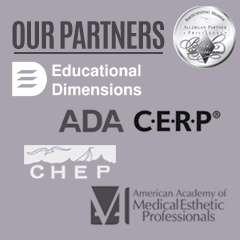 If approved, JUVÉDERM VOLUMA™ XC would be the first and only dermal filler in the United States with this indication. The Advisory Committee’s recommendation, although not binding, will be considered by the FDA when making the final approval decision for JUVÉDERM VOLUMA™ XC. If approved by the FDA, Allergan anticipates launching JUVÉDERM VOLUMA™ XC in late 2013.